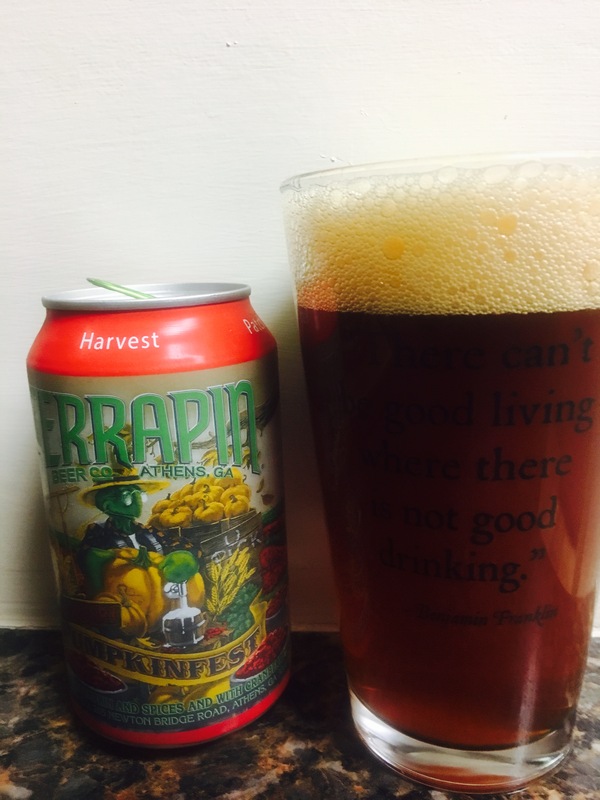 Terrapin brewery has added another pumpkin beer to their lineup this year. This one has a twist as it includes cranberries in the mixture. It’s light, kinda tart, strong cranberry flavor with a subtle pumpkin as well. With a 5.5% Alc content this beer is not bad at all, a change from your normal pumpkin beer. 3 stars.